​​​Lana the Labrador could be put down if she doesn't find a home soon. 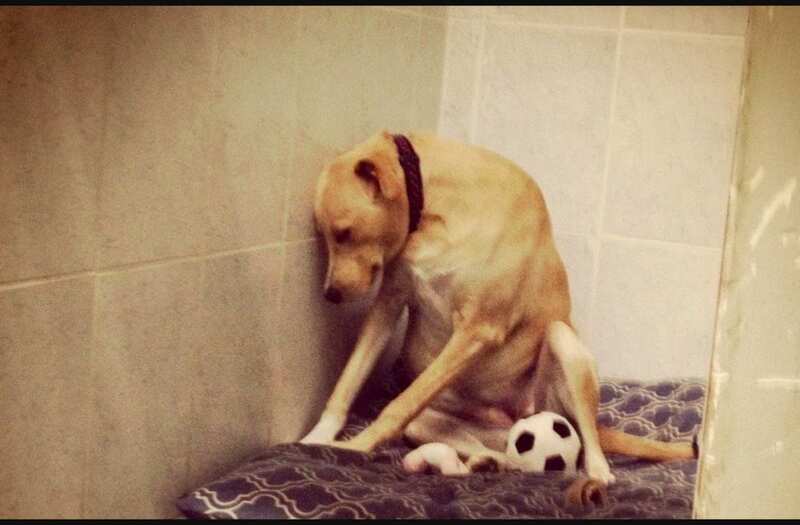 The canine first made headlines back in 2015 when a photo of her looking depressed in a kennel surfaced online, breaking the hearts of millions. Shortly after, thousands of people sent in adoption applications for the labrador, who was nicknamed by the internet as the "saddest dog in the world" after being rejected by her previous owners. But eventually, Luna was taken in by a happy family. However, it wasn't long before Lana would return to the kennels in 2016, according to The Dodo, after she snapped at her owner while she was being fed. She hasn't found a home since. And now she faces even more bad news, as the animal rescue group, Rescue Dogs Match, posted the following on their Facebook page Friday: "May 14 is Lana's Birthday ( she will be 3 ) Please help find her a Foster or Forever home. Lana only has until May 20th". The rescue group told Facebook users that if she isn't adopted by May 20th, the poor pooch will put down, "since she hasn't been able to find a permanent home for three years." "Lana's adoption did not work out because people want a dog they can pet and play with," Brenda Dobranski, the founder of Rescue Dogs Match, told The Dodo. "Lana is a silly fun girl but she is not the type of dog that will let you give belly rubs to and sleep in bed with." Due to crowding, Lana's current facility needs her to find a home by May 20th. "The best family for her would be a mature couple or person that has the time, patience, determination and commitment to help her become more confident," the group wrote on Facebook. "She is sweet and silly, that is hard-wired into her character. She is timid, wary of strangers only at first. When she is not around the people she trusts, she has the tendency to shut down or become very hesitant." If you're interested in adopting Lana, you can email info@rescuedogsmatch.com to be considered.